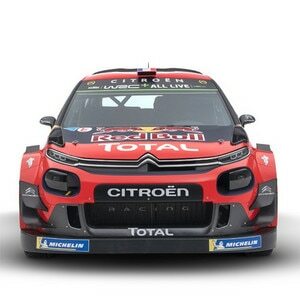 The Citroën Total Abu Dhabi WRT had a frustrating final leg of the season with two of its crews – Stéphane Lefebvre/Gabin Moreau and Craig Breen/Scott Martin – retiring after going off within a few minutes of each other. 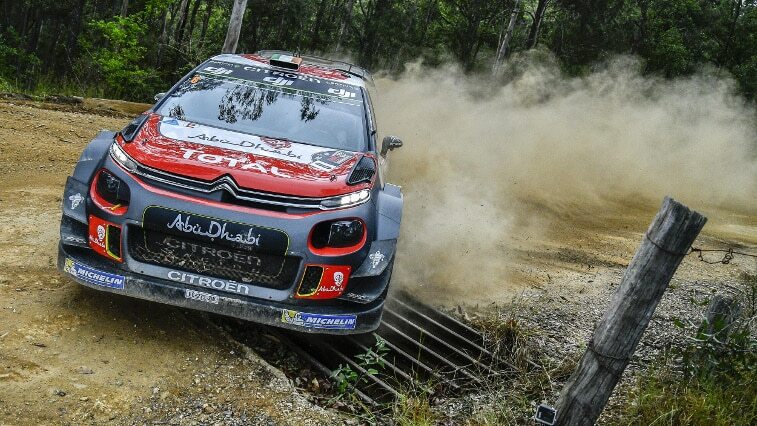 Having re-joined under Rally2 rules, Kris Meeke and Paul Nagle ended Rally Australia in seventh position. On the third and final day of Rally Australia, heavy rain showers hit the Coffs Harbour region. Starting the day’s proceedings, the crews had to complete the Pilbara Reverse, Bucca and Wedding Bells stages, equalling a total competitive distance of 48km. Stéphane Lefebvre reached the end of SS17 with heavy damage to the rear left suspension and wheel of his C3 WRC. The Frenchman understeered on mud and ran wide on a bend, hitting a tree stump on the exit and ripping off the wheel. With the damage too significant to continue, he was forced to retire. A few minutes later, Craig Breen’s C3 WRC showed up on the monitors as having stopped on SS18. Despite the extreme conditions, the Irishman was forced to push to hold onto fourth place, but he ran wide on a bend and rolled the car. In less than a quarter of an hour, the Citroën Total Abu Dhabi WRT recorded a second retirement. The sun was shining again by the time the crews made it back for the mid-leg service on Sunday. Having re-joined under Rally2 rules on Sunday morning with the aim of using the leg as a full-scale test, Kris Meeke was eighth overall. Following Sunday morning’s showers, the organisers decided to cancel the second pass on Pilbara Reverse. That left only the Wedding Bells Power Stage to conclude the season. Kris Meeke set the fifth fastest time on this final stage, moving up to seventh overall following the dramatic retirement of Latvala. Kris Meeke: "The idea on Sunday was to prepare for 2018. From that perspective, it was pretty handy that it started raining because we could work in conditions where we have quite a lot of room for improvement. It wasn’t easy for me to push when I had nothing to gain, but what we learnt yesterday will undoubtedly prove useful in the future." Craig Breen: "It was a big off. I’ve not had one like that for a long time. 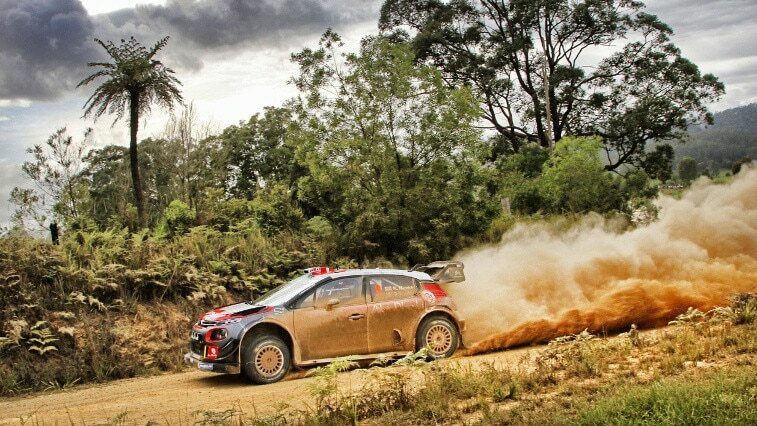 Fortunately, the C3 WRC is a solid car and the safety features did their job perfectly. We weren’t sure of finishing in fourth place and I knew I had to push to counter a return from Paddon, who had slightly better road conditions than we did. I didn’t want to end the season with another fifth place without making a fight of it." Stéphane Lefebvre: "Obviously, it’s not the best way of ending the season. I just made a mistake on the first stage, a long right-hander. The conditions were awful, with a lot of water, which made the ground as slippery as ice in places. I got caught out by a slippery patch of mud. The car understeered, ran slightly wide and we hit a big tree stump. It’s a shame and I’m sorry for everyone in the team."